The robotics team offers more than just a place to learn, it's a proud place to belong. 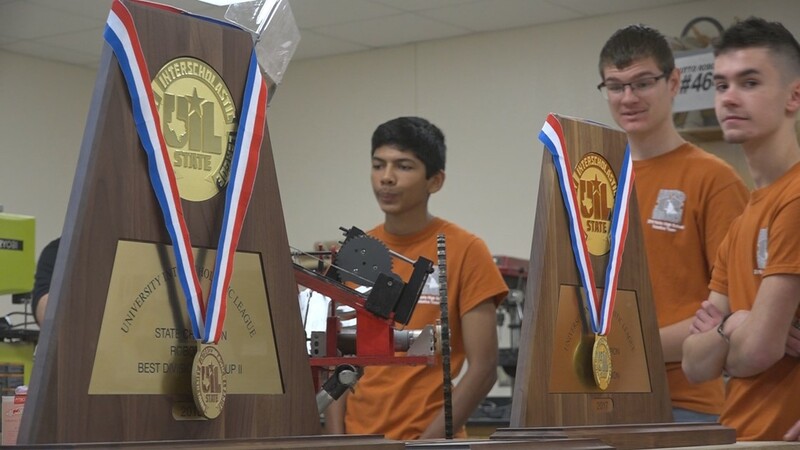 HUTTO, Texas — Whether it's academics, the arts or sports, the students at Hutto High School have proven to be some of the best of the best in Central Texas, even when it comes to their robots. 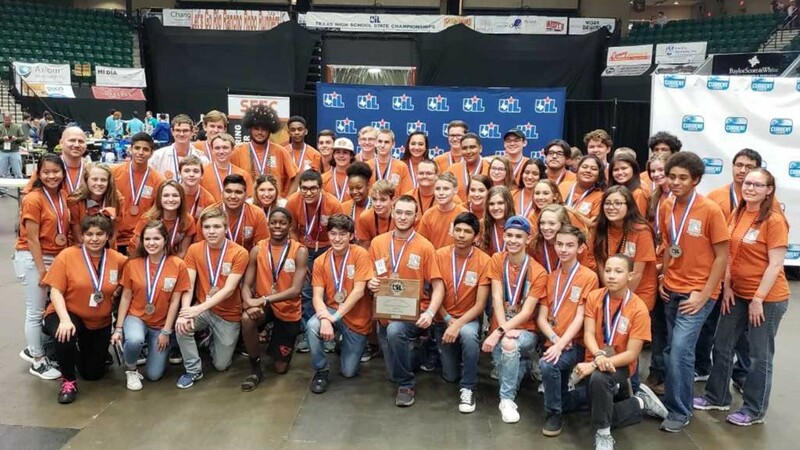 In December, the Hutto High School robotics team took home their second consecutive UIL State title, and they aren't looking to slow down anytime soon. "My first year we got like 13th overall, then third overall, then second, then first twice. 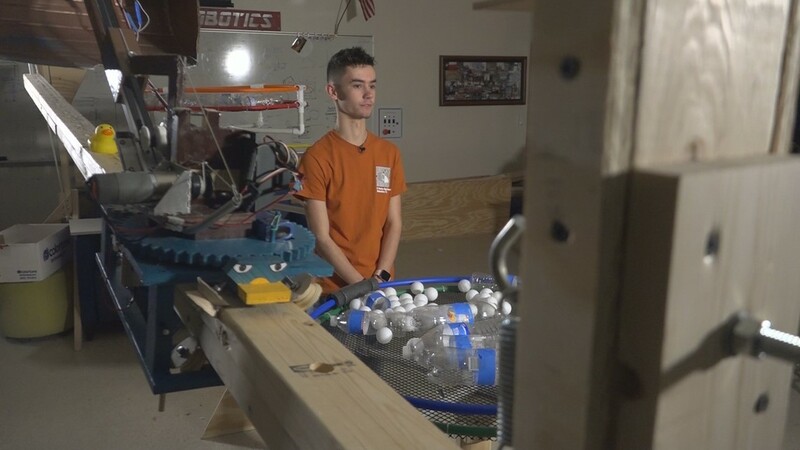 So its' really we've been there, we're here to stay kind of mentality," said junior Ben Block, who work as both a build team manager as well as a crucial voice on the marketing team. 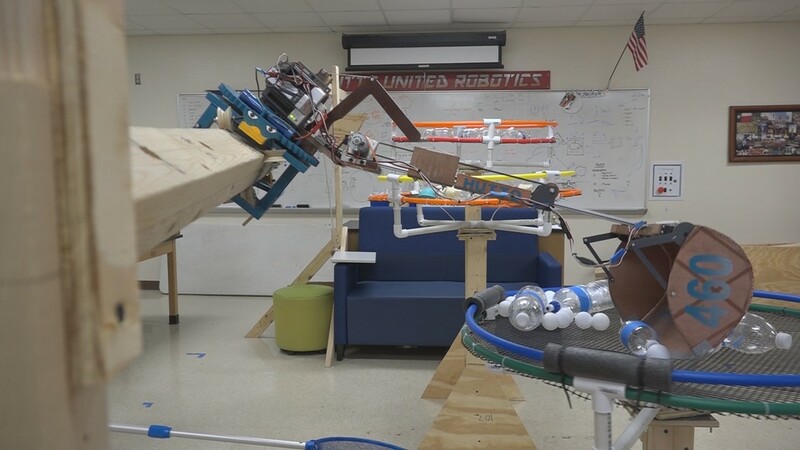 Their most recent state win was with their robot, "Perry," who had the task of cleaning plastic out of ocean gyres (or hula hoops) and then converting those plastic materials into reef building blocks (plastic balls). The responsibility of carefully guiding Perry on his mission lies in the hands of robotics team members. "Having something tangible that you've put your blood, sweat and tears into, countless sleepless nights and seeing it compete at a really high level is something really awesome," said Blok. Now, if you've never been to a robotics competition before, it may be at first easy to confuse it with a volleyball or basketball game due to the loud cheers of fans, team members and cheerleaders. "We're going into these arenas filled with parents and students people bring their band and our cheer leading squads," said Blok. "I've been to football games, but nothing compares to the sheer volume of sound that comes from these competitions. Having our robots that's being cheered on like we're a star athlete is something really cool." It's not enough for the robot to perform the tasks its given -- there also needs to be a solid write-up about it. Jade Ruggirello is a senior on the Hutto High School robotics squad representing the marketing presentation team. She is also in charge of the engineering notebook. She said when she was first asked to join the team, she was a little skeptical, but has zero regrets. "I've never been good with robots or engineering, but I absolutely loved it and have been a part of it ever since," Ruggirello said. "I loved to write and one of the main things that we have to get scored on is an entire notebook that we have to cover how we built the robot, what we did." The team is led by Coach Andrew Haub who started the program seven years ago. He shared he's proud of his team's success, and is aware that many people see it too. "I think from the outside people are intimidated a little bit because of our success and the notoriety that we get," laughed Haub. "If we're going to be the best at what we do, our work should speak for itself." Haub said while doing well at competitions is always the goal, what's truly important to him isn't something that can be etched onto a trophy or written on a college resume. "It's not just about winning competition. 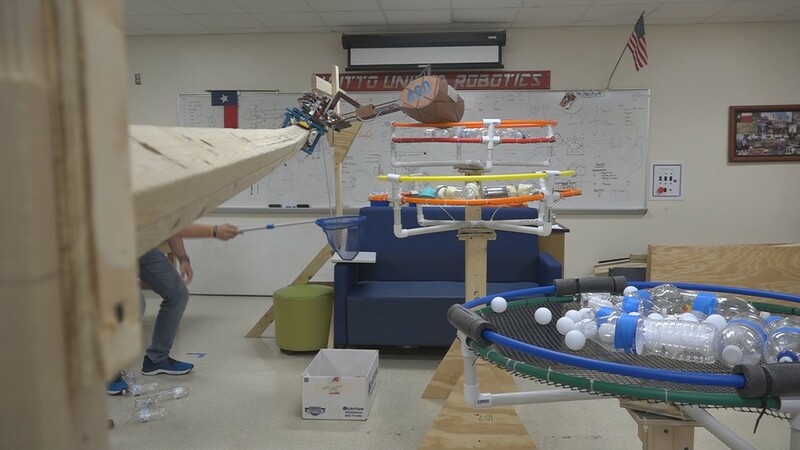 It's about the struggle that went through that," Haub said, adding that many of the students also see the robotics team as their second family. "Sometimes this is a place, a safe place they can go to escape from some of their issues." 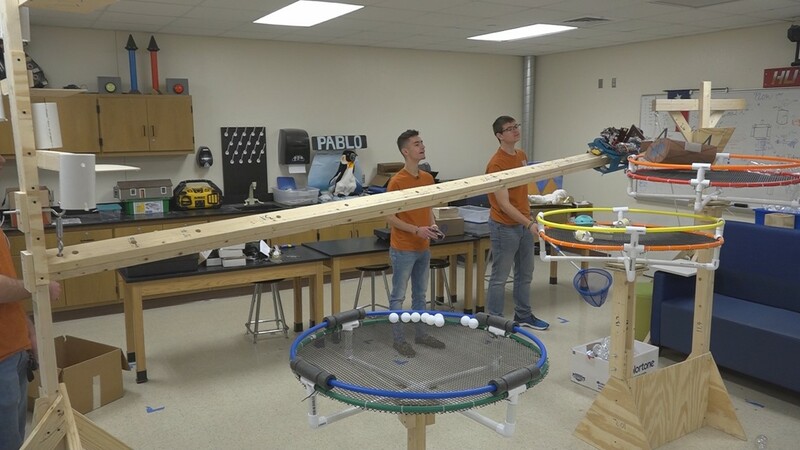 Haub said many of the students in the robotics program go to college to pursue careers in engineering and technology, but he said what makes him most proud is that several of his former students make an effort to keep in touch with their coach. For as much time the students spend working on their robots, they say it's important to them that the team be a warm and welcome place for all students, regardless of what your talents are. With back-to-back state titles under their belt, prioritizing a sense of community, growth and belonging has proven valuable at competitions for the team. "We're all a family because we're here all the time," said Blok. "Whatever you can do whatever you're really good at, we're going to try and make sure you're doing exactly what you need to do." "We have a place for every single person. A lot of people don't really realize that if you like to draw, we have entire exhibit that we could use artists and painters. If you like to write, there's an entire notebook we have to write. If you like to read, there's lots of different things that we have to analyze, building. No one is left out," said Ruggirello. "Just knowing that I played even a small part in these things and impacted our district and our community, is just something I'm really grateful for." 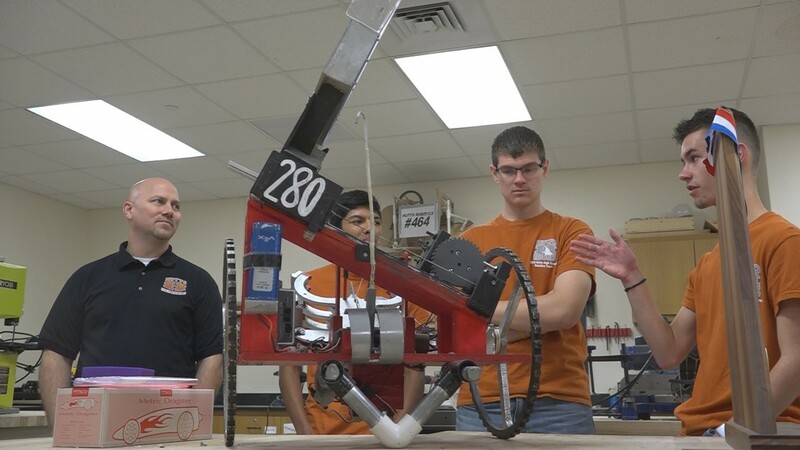 For more information about the Hutto robotics team, click here.